UFC lightweight champion Khabib Nurmagomedov is suspended for his UFC 229 post-fight melee and will likely be sidelined until late 2019. The division’s rightful No. 1 contender, Tony Ferguson, is sidelined indefinitely due to personal issues. The division’s former champion and biggest star, Conor McGregor, is effectively sidelined indefinitely of his own volition, or at least until he decides he wants to fight again. Likewise for Nate Diaz. All of that uncertainty has led to a crippling logjam atop the UFC’s 155-pound roster, which will only get further complicated once Dustin Poirier and featherweight champion Max Holloway battle for an interim lightweight title at UFC 236. 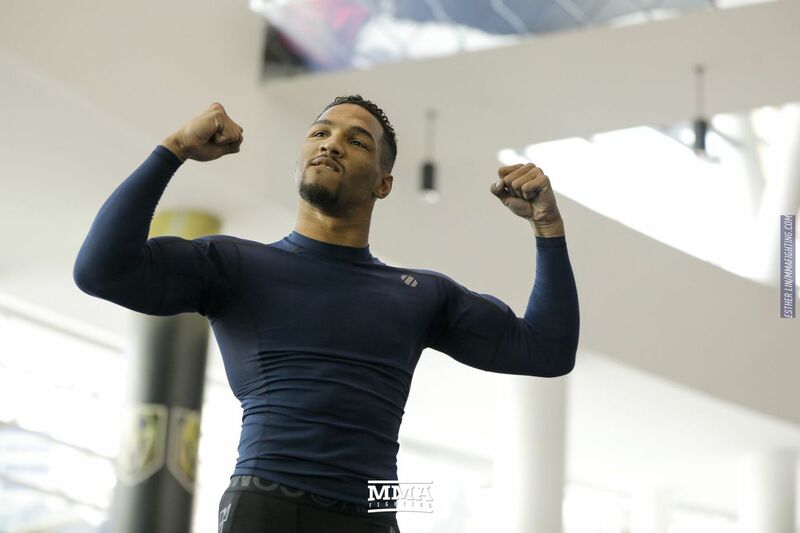 So without a clear and intelligible path to get to where he wants to be in the lightweight title picture, top contender Kevin Lee figured that now is as good of a time as any to try his hand out in the welterweight division, which is what he’ll do when he makes his 170-pound debut against Rafael dos Anjos on May 18 in the main event of UFC Rochester. “A lot of [the lightweight division] kinda went stagnant, which is a real shame,” Lee said Monday on The MMA Hour. “I mean, it’s always been one of the best divisions in the UFC. There’s just so many ups and so many questions. And part of me was like, this is where I said I wanted to be, and this is where I started and where I’m gonna finish, especially with fighting Khabib. But when I looked at it, like, okay, I’m not going to sit around and wait. The move to welterweight makes sense for Lee. As he gets older, the 26-year-old Michigan native has increasingly struggled to make the 155-pound lightweight limit. He outright missed weight last year for his victory over Edson Barboza and has long been an advocate for the creation of a 165-pound division. But the timing also makes sense as well. Whether it’s Robert Whittaker becoming a UFC champion at 185 pounds, or former middleweights Thiago Santos and Anthony Smith making title runs at 205 pounds, the trend of fighters finding success by moving up a division and fighting closer to their natural weight has never been more prevalent. For more relatable examples, Lee needs to look no further than Anthony Pettis and Jorge Masvidal, two longtime lightweights who suddenly find themselves in the thick of things at 170 pounds after recently knocking out former welterweight title challengers. “I’m about 181 (pounds). I used to get much heavier, but I’ve been about 180, 181 since really the past year or year-and-a-half,” Lee said. Lee said his move to 170 pounds isn’t permanent. He is still holding the door open for a potential return to the lightweight division once the title picture figures itself out, but he also isn’t ruling out a run toward the UFC’s welterweight championship if things go well against dos Anjos. For now, every option is in play, which is an exciting possibility for Lee and one that he said has put a new “pep in his step” ahead of UFC Rochester.